The DL-NCD is an advanced, numerically controlled door light cut-out machine equipped with AC servo control for all three axes of cutting, ‘X’ (door length), ‘Y’ (door width), and ‘Z’ (depth into door face). The ‘Z’ axis servo control makes it simple to program for security locks where the face bore is machined to a precise depth and also allows the operator to reduce the plunge speed to minimize tearout in the bottom face when machining small diameter holes. When the DL-NCD is used as a drill some de-burring may be required on the bottom face. 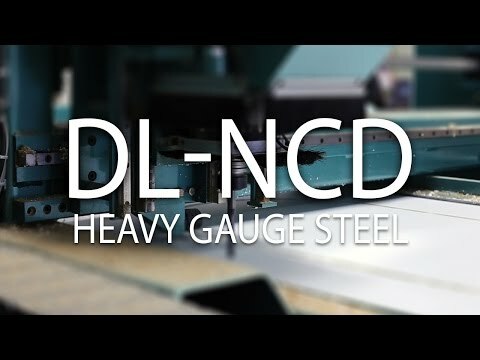 The DL-NCD is equipped with a feed and width adjust system to automatically receive, position, and clamp doors prior to the machining sequence. It can process doors of height from 6’6” to 8’0”, width from 12” to 3’6”, and thickness up to 1¾”. Minimum distance from edge of cutout to edge of door is 1½” on both sides. 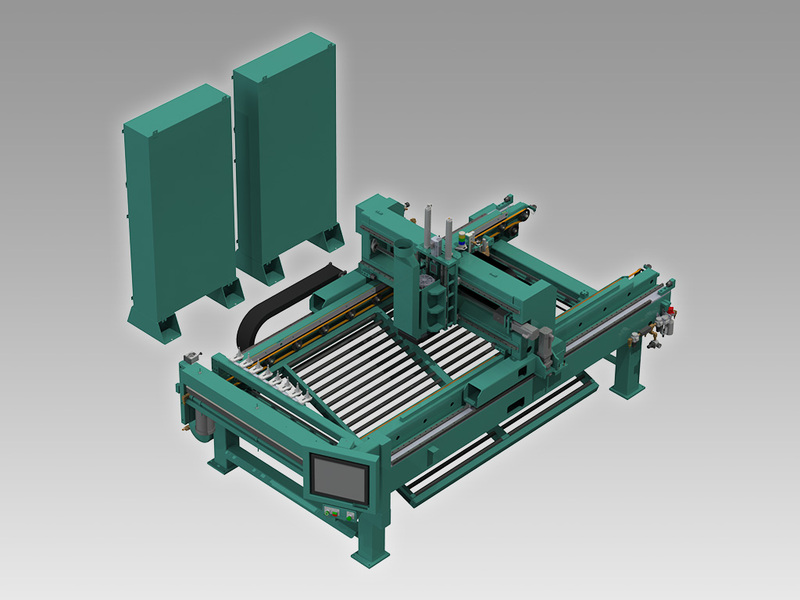 The high frequency spindle motor is equipped with an automatic tool changer and access to eight additional tool holders placed in a fixture along the fixed side of the machine. Programs can call for an automatic tool change and RPM adjustment for wood, fiberglass, and steel doors. Individual door light patterns are created at the machine console, or remotely using a standard PC. The DL-NCD includes an industrial PC with a standard ethernet connection for file transfer and library backup, as well as occasional internet support and updates to the onboard Kval control software. In standard configuration the DL-NCD feeds from left to right, entry doors are oriented sill end leading with the lock side against the fixed fence: this is done to ensure lock bore backset accuracy.